The Landhotel Tirolerhof is a charming, family-run hotel with an excellent reputation for high standards and friendly service as well as a new relaxation area with heated waterbeds and a large sun terrace. 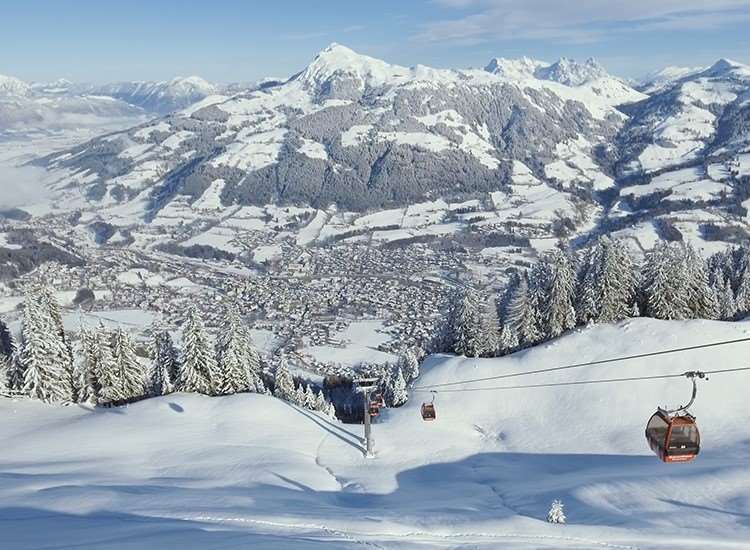 The hotel is situated approximately 1.5kms outside of Kitzbühel with a ski bus stop directly outside the door giving easy access to the ski area. A free minibus service, to the centre of Kitzbühel is available once each evening. You then have the flexibility of making your own way back whenever you are ready. 35 bedrooms. All bedrooms with private bath or shower, WC, hairdryer, bathrobes, slippers, satellite TV and balcony · 35 bedrooms. Family/Quad rooms - sleep 2-4: Consist of one room with Austrian twin plus double sofa bed. Family rooms are larger.